If you’re looking for employee recognition program ideas and examples, you’re in the right place. We’ve helped organizations boost employee engagement for two decades. In that time, we’ve found that public recognition, paired with worthwhile rewards, is one of the best ways to get employees more into their work and boost performance. So what’s the best way to recognize employees, and which rewards work best? What workers really appreciate—and makes them feel most appreciated—can vary by industry, company, division, and team. Keep that in mind while considering these incentive program options. If you’ve already decided on your program’s structure (including which behaviors and metric-based achievements to reward), then you’ve already done a lot of the grunt work. From there, you’ll want to decide how you’ll recognize winners (kudos from ownership and senior management work best), and what they’ll actually get. This is where some firms drop the ball. Rewards generally come in the form of cash, gifts, or experiences. Although everyone loves cash, many companies prefer gifts. Gifts have a monetary value, unlike some experiences (e.g. Corner Office for a Day). Moreover, gifts are effective: a properly-structured and administered recognition and rewards program yields better results dollar-for-dollar than cash bonuses. However, that’s only if the recognition is meaningful and the rewards are worthwhile. This is an investment in more than just performance; if your program is a hit, it’ll help your recruitment and retention efforts too. Let’s look at some popular ways to praise and reward great employees. 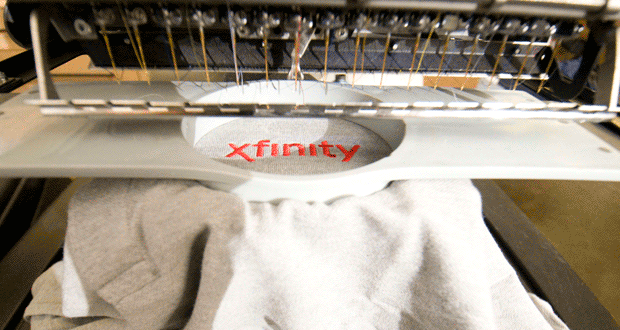 Comcast Xfinity knew its technicians struggled to make repeat calls to customers to fully resolve problems. 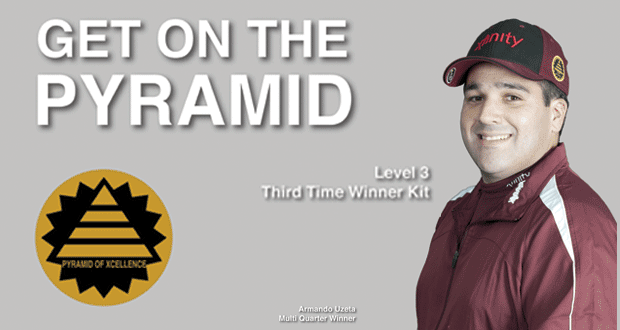 It launched a Pyramid of Excellence program designed to work on all the elements that were contributing to the problems. They targeted on-time appointment windows, high service call resolution rates, elimination of callbacks, zero preventable safety incidents, and meet a quota of calls overall. One of the great things about this program is that it relies, in part, on peer recognition. Winners earn personalized high-end gear clothing, which keeps interest high and brings repeat congratulations (“Nice jacket – what’s it take to get one of those?”). Each achievement level brings a new set of rewards, with a new color scheme easily recognized by peers in the field. The program is seen as a badge of honor for those who have reached the highest level. If you do opt for brand-name apparel as part of your rewards scheme, consider going the extra step to personalize it (with their name, not just your logo). The personal touch makes all the difference in making someone feel appreciated. It also reinforces the important connection between brand identity and company culture. Beyond apparel, there are lots of brand-name goods that work well as rewards. Match the reward to the achievement, keeping the value of that achievement in mind: If retaining an employee for a year saves you (e.g.) $2500 compared with hiring and training new, it’s worth making sure your long-timers feel wanted. Trying to figure out rewards that winners will appreciate can be tough. One option is to let employees pick their favorites from an assortment of great items available 24/7 via online company store. If you offer a worthwhile selection, winners will get the things they want. And when your program is a hit, word will get out about what the team can earn. If you want the word to spread, you need to post it. 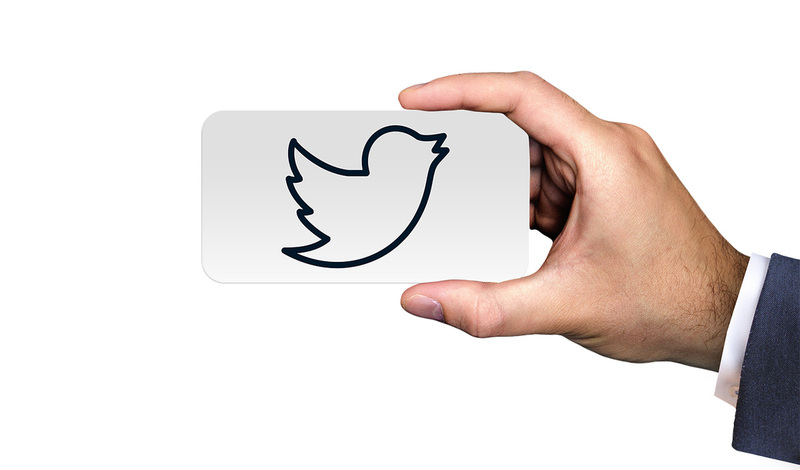 Mobile and social media elements can help promote your recognition program and make participating convenient. Mobile apps make it easy for colleagues to talk up their peers’ excellence when the mood strikes and social media, in general, simplifies the process of getting shout-outs on a big scale. It also enables you to track results and adjust your program based on live data—in real-time. 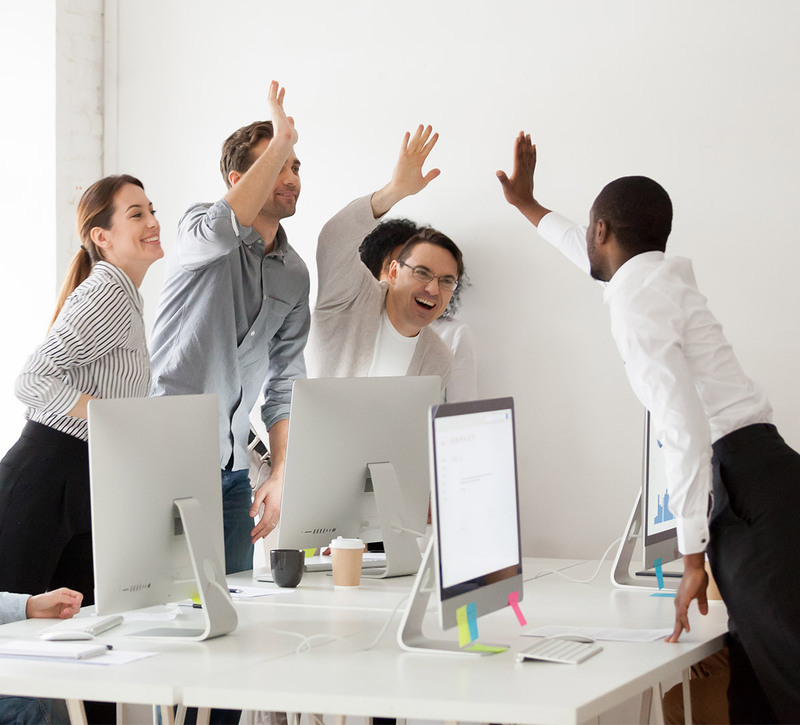 If you’re focused specifically on employee retention, offer milestone rewards to employees who’ve been with your company for specific periods of time. This is especially helpful for employees without 401(k)s or other company-sponsored plans that rely on vesting as an incentive for people to stay with the firm. Call centers and other businesses keeping an eye on turnover may offer rewards to workers at the six-month mark and on their first and subsequent work anniversaries. Not every part of an incentive program has to be a high-ticket item. A giveaway can be a great way to introduce an incentive program to employees. Everyone loves Lego®, except when they’re barefoot. But engineers and other techies love them. Try creatively working them (or another fun but memorable customized gift) into your incentive program. California utility PG&E used minifigs that looked like field technicians—with USB drives inside. The figures were an instant hit. Some were seen dancing, shades on, late into the night. 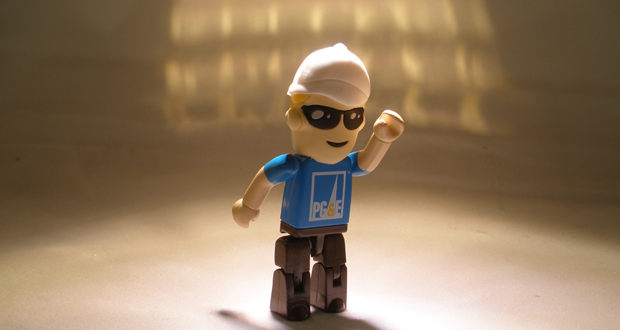 PG&E Technician minifig with USB drive, shakin’ it. Many organizations have multiple recognition and reward programs, each designed to encourage specific behaviors and results. The University of California, Davis, lists five separate recognition programs on its human resources site, encouraging employee loyalty, exceptional work in support of the campus’ core values, and more. You may be focused on a specific set of metrics at the moment and thinking about only one incentive program to help achieve those metrics. It’s still useful to consider how you might shift that focus over time as your goalposts move or strategy changes. Call centers and other metrics-driven firms know this quite well. New projects can require quick changes without losing sight of long-term projects and quotas. The best incentive programs can adapt over time as needed. You want employees to earn rewards, since they’re markers of the work performed to help reach your organization’s goals. With incentive programs, an unspent budget is a waste: the idea is to have as many winners as possible and encourage the same people to keep at it. Your program can use recurring recognition to motivate employees and develop a strong company culture. If your company has experience designing, launching, and administering successful employee recognition and reward programs, then you’re all set. If not, you’ll want to carefully consider who handles it for you. As great as a successful program is, an unsuccessful one can be worse than none at all, with only disillusioned employees and wasted budgets to show for it. Inproma’s custom employee incentive programs get results. We focus on your strategic goals and tie rewards to the metrics that will help you get there. From design to fulfillment, we can handle all the behind-the-scenes requirements. If your employee engagement needs a boost, or your current incentive program isn’t getting anywhere, let’s talk.